Hajwala: The Missing Engine broke box office records in the UAE in 2016, grossing more than any Emirati film before it. It delved into a popular phenomenon among youth in the Middle East, also referred to as Tafheet — a high-risk illegal street-racing technique that involves drifting cars at very high-speeds while throwing them from side to side. Now, the sequel is here. Director Ebrahim Bin Mohammad said they are determined to showcase a more impressive cinematic effort with Hajwala 2: The Mysterious Mission. In the second instalment, a hodgepodge of characters come together for a tense mission that could end with millions of dollars split between them. Here are 11 things you need to know about the high-octane action crime film, out in cinemas now. According to the website Box Office Mojo, the film made at least $832,186 (Dh3 million). Director and script writer Hassan Al Jabri attributed the success to the fact that the movie introduced a new genre to the region. “The first film brought out a large audience, and the idea was unique. In the gulf, there had never been a film before that showcased car-related action. It was something new in the region. It created a bit of buzz, so we wanted to keep it going,” said Al Jabri. While the first film focused on freestyle techniques, the second one delved more into drifting. And to keep the story fresh, the filmmakers added some laughs, too. 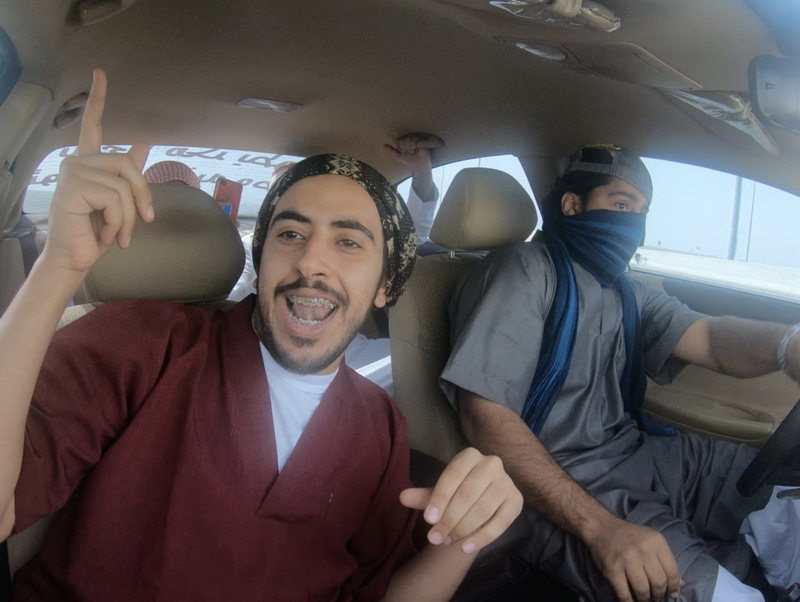 “We brought in drifting experts from Lebanon and Saudi Arabia. We also brought in a bit of comedy, which viewers enjoy, so that we could create a mix between action and comedy,” said Bin Mohammad. “The actual hajwala movements, they’re illegal, they’re extremely dangerous. We executed them in the presence of an ambulance and the police, but despite having those safety measures, the technique is still risky, so we worried that God forbid, something would happen. Thankfully, we were successful. This activity, instead of it being in the streets and done illegally, could have special dedicated tracks — there are a lot of young people who like this move, the hajwala move, so hopefully, there could be dedicated tracks where they can participate, in the presence of safety measures,” said Bin Mohammad. “We showed the problems that the character faces, when he goes down the path of hajwala. We also had a mute character who, at the end of a particular scene, left a message to audiences in his language, which is sign language, that this move is not right, and that he’s going to part ways with his friend who tricked him into getting into the car with him. We hope it’s a moving message to the audience that this technique is dangerous,” said Bin Mohammed. Primary filming for Hajwala 2 took place in Abu Dhabi, Dubai, Umm Al Quwain and Ras Al Khaimah. The film took a gruelling 30 days to complete, and the film in its entirety was shot locally. However, the filmmakers hired a seasoned film crew from India, who had previously worked on Bollywood films, which are notorious for their action sequences. 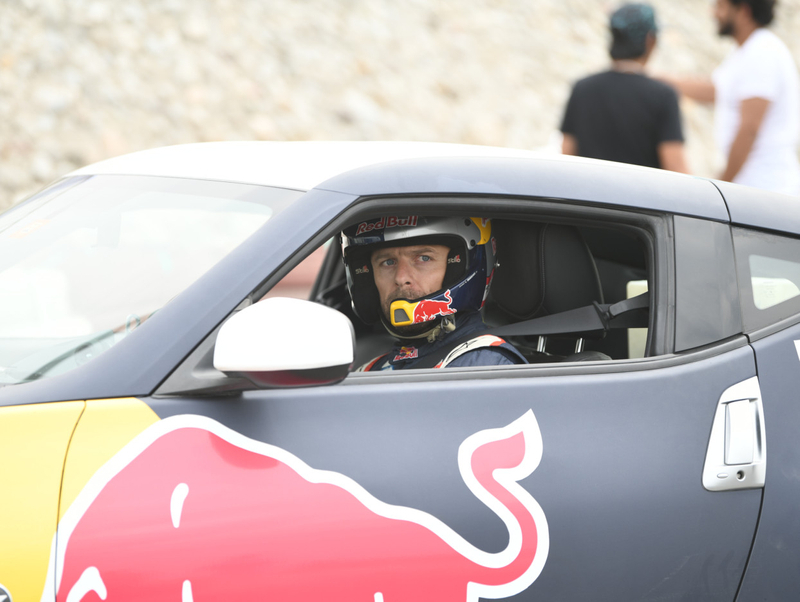 The cast included Saudi drift champions Yaser Al Nafea (known as King Al Shifa) and Abdallah Al Youssef, Lebanese drifter Abdo Feghali and Emirati drifter Omar Al Hashmi. Plus, the Emirati actors Hussein Al Hosani, Kashoona and Ali Al Marzooqi. “In general, in the Arab world, actors usually come from a theatre background before hitting the big screen. But currently, social media is open to everyone — people don’t have to be stage actors first. They can use social media to show their talent. It might be easier and more affordable for producers, too. That being said, you can’t replace actors and celebrities who are well-known in drama and in cinema,” said Bin Mohammad. When it came to dangerous stunts, they had no less than eight special cars that could handle the heat. But the film had more than 15 cars all together. These included the BMW Z series, as well as the Honda Accord, Land Cruiser, Corvette and more. “I would expect that the budget for the sequel is higher, because we brought in an expert team from India who are specialised in filming action. We also brought in new lighting, different kinds of cameras — we used to film in 2K, now it’s 6K. Even the quality of the sound. Before, we relied on a mic, now, it’s studio quality. Cars need special sound, and we hope the audience enjoys it when they see the film in cinemas,” said Bin Mohammad. Hajwala 2 is out now in the UAE.